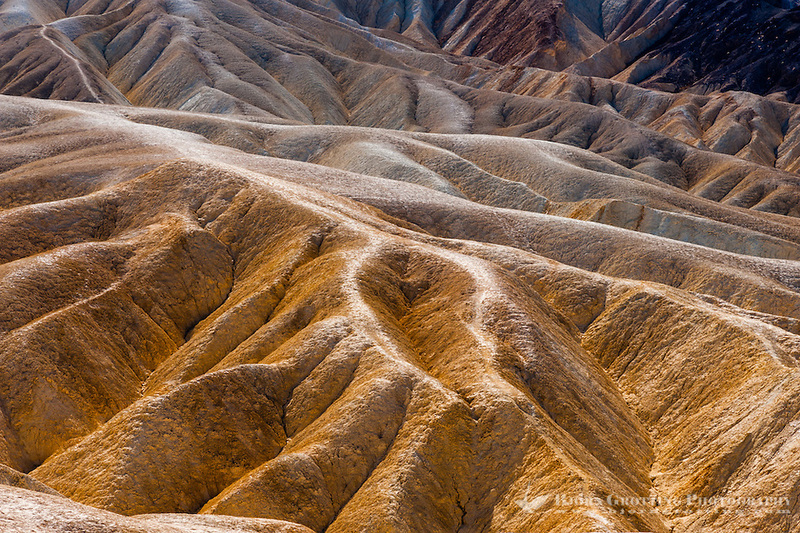 Don’t let the name scare you, Death Valley is far from a dead valley. Located in the Mojave Desert in eastern California the valley makes up most of the Death Valley National Park, one of the largest national parks in the United States. It is home to a large variety of plant and animal species, and for geologists it’s an open book presenting a number of geological eras. 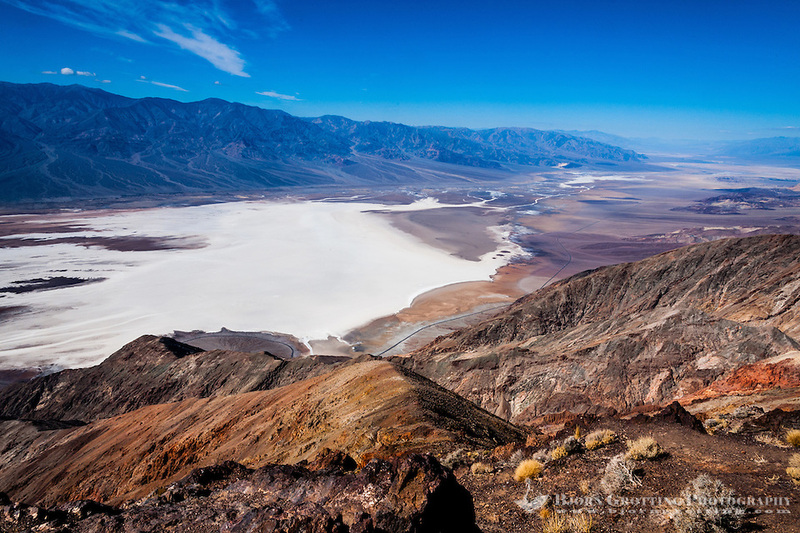 The Badwater basin in Death Valley sits on the lowest elevation in North America at 86 m below sea level. 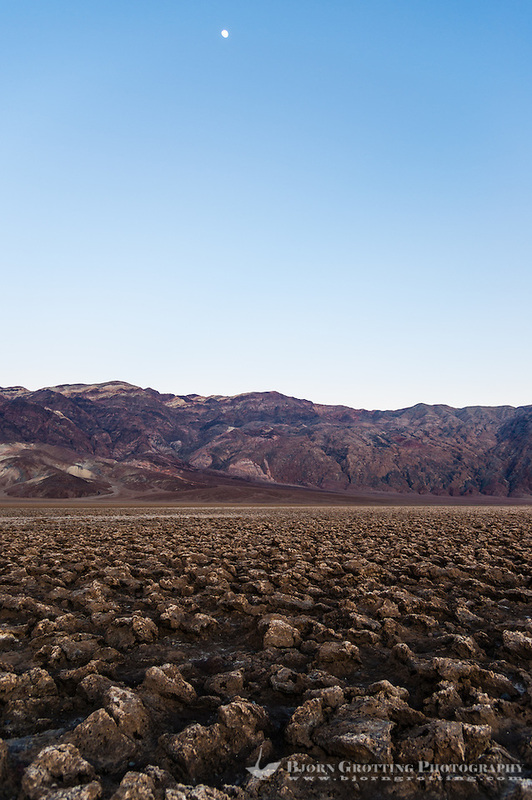 The Valley also holds the record for the hottest and driest place in North America. The highest temperature measured in the western hemisphere with 56.7°C was recorded at Furnace Creek in 1913, only a site in Libya with 57.8°C beats that record in the world. Had the temperature been measured at Badwater at a lower elevation it would probably have been even higher. July is the hottest month here, with average temperatures of 46°C high and 31°C low, with December as the coldest with average temperatures of 18°C high and 4°C low. The lowest temperature recorded is -9.4°C. 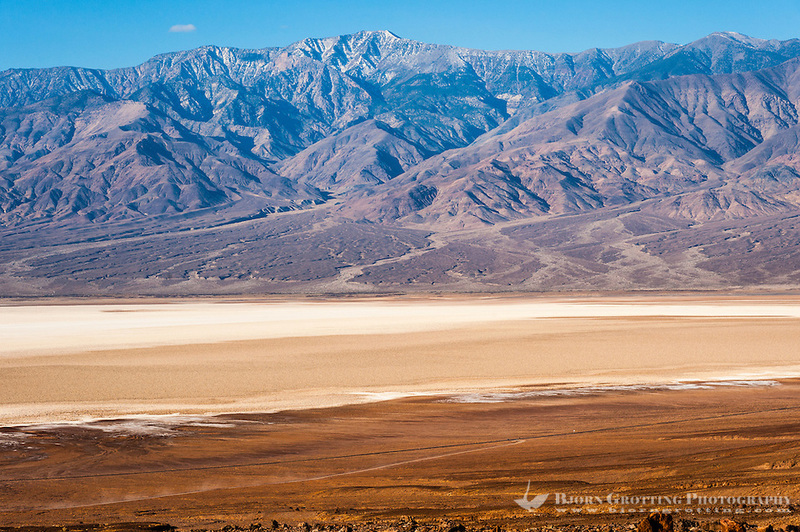 The four major mountain ranges between Death Valley and the Pacific Ocean causes a significant rainshadow effect, with some years passing without any rain at all. The average annual rainfall is 60mm, with the wettest climate in January and February. From north to south the valley itself runs between the Amargosa Range on the east and the Panamint Range on the west, and is actually a graben, a depressed block of land bordered by parallel faults. The oldest rocks are at least 1.7 billion years old. Before the climate here changed to desert the Death Valley basin was filled by a large freshwater lake called Lake Manly. The lake was about 130m km long and up to 180 m deep, leaving behind salts such as common sodium salts and borax. Badwater Basin occupies the deepest part of the former lake today, and here is also the only visible sign of the huge aquifer underneath the Death Valley surface. Flooding made Lake Manly seem to reappear in February 2005, at it’s deepest the water was 60 cm deep and covered about 260 km². 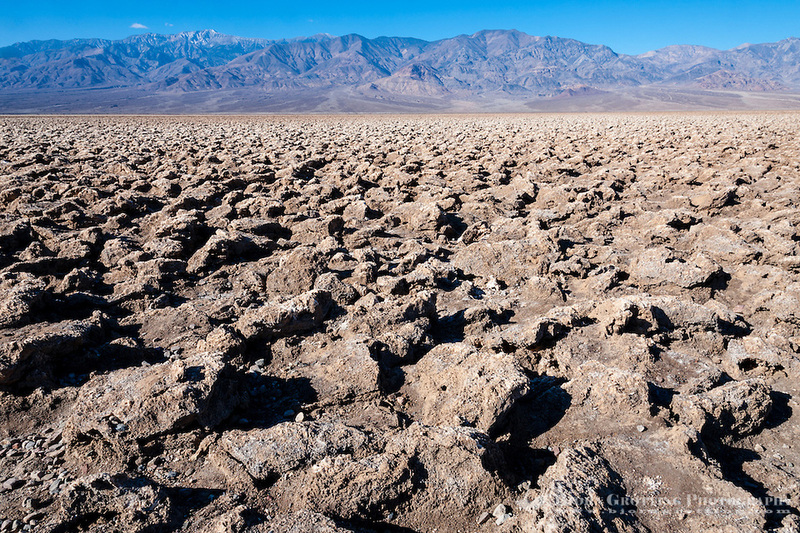 The water quickly evaporated, and in May 2005 Lake Badwater was again turned into the salt flats of Badwater Basin. Native Americans has probably lived in the area for at least 10.000 years. 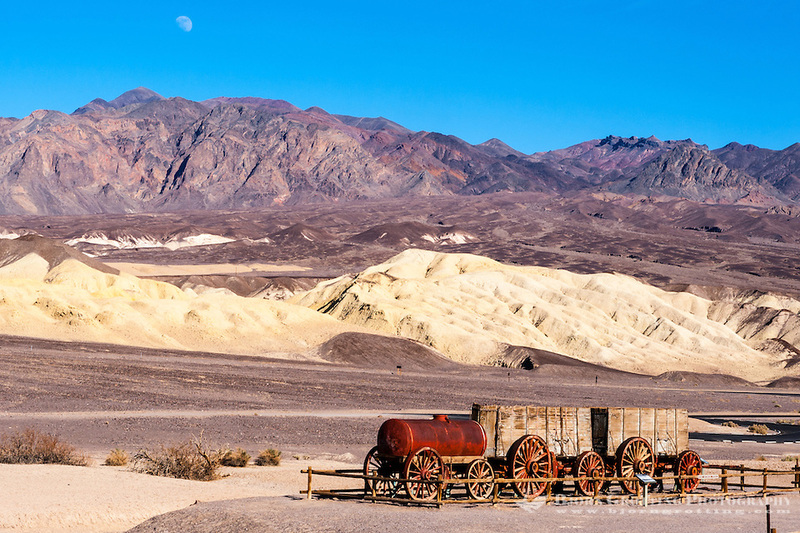 For the past 1000 years Death Valley has been home to the Timbisha tribe, a few families still live at Furnace Creek. The valley was called “maahunu” by the Timbisha. It’s modern and more morbid name was given in 1849 by gold diggers who crossed the valley during the California Gold Rush. Only one death was recorded here during that period, but crossing the hot and dry valley floor must have made a deep impression. Even if copper, lead, silver and even gold has been found here, it was the mining of borax that proved to be most profitable. Borax is a mineral and salt left over by the evaporating waters of Lake Manly. 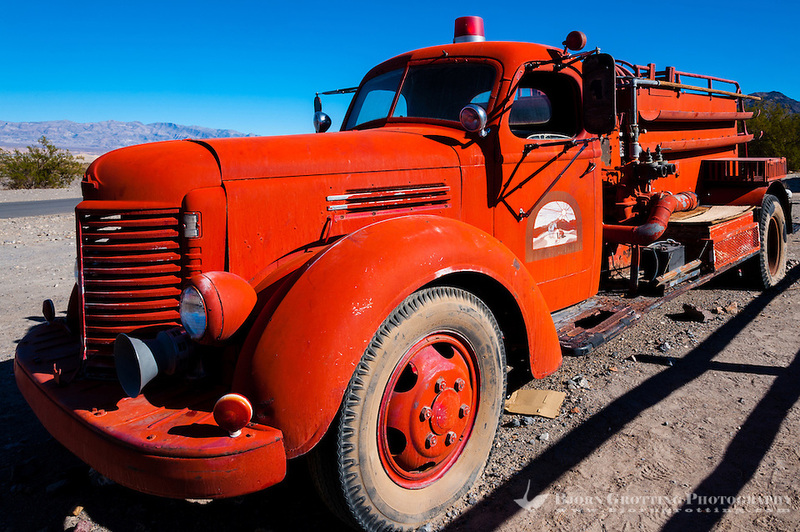 It was first found in 1881, and in 1883 Harmony Borax Works started it’s mining operations, which lasted until 1889. The famous Twenty-mule teams hauled borax to the closest railroad, actually it was 18 mules and two horses attached to large wagons. 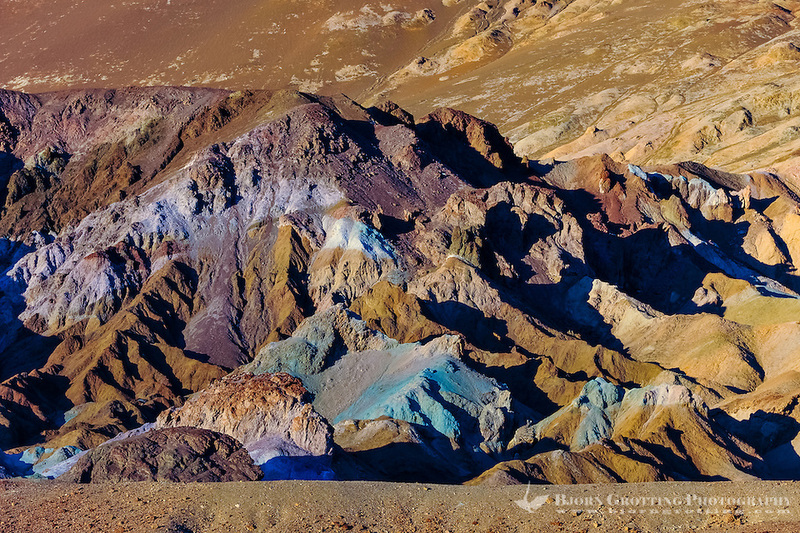 The former Death Valley National Monument was designated a national park in 1994, the filing of new mining claims have been stopped and the last borax mine was closed in 2005, ending all mining in the park. Biological habitats vary greatly from the salt flats at 86 m below sea level to the summit of Telescope Peak in the Panamint Range, at 3.368 m the highest point within the park. More than 1.000 plant species exist within the park, as well as 307 bird species and 51 mammal species. Also a number of reptiles, amphibians and fish is found here. Some animal and plant species are unique to the park. The first tourist facilities were built in the 1920’s were Stovepipe Wells is located today. Now there is a hotel, a general store, restaurant and gas station here. You may also pay the park entrance fee at the ranger station at Stovepipe Wells. Furnace Creek houses the Visitor Center, Museum, and headquarters of the Death Valley National Park. It is also home to the Furnace Creek Inn and Furnace Creek Ranch. 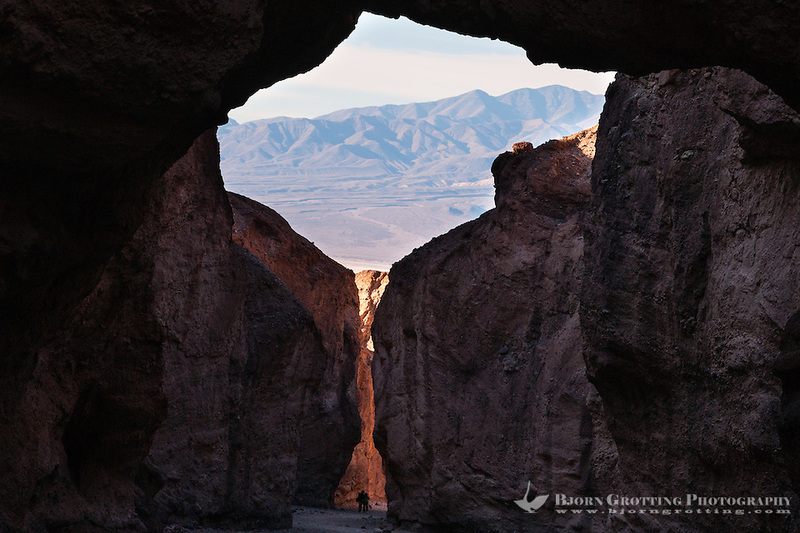 From here you have a relatively short drive to many of the places of interest in the Death Valley area. 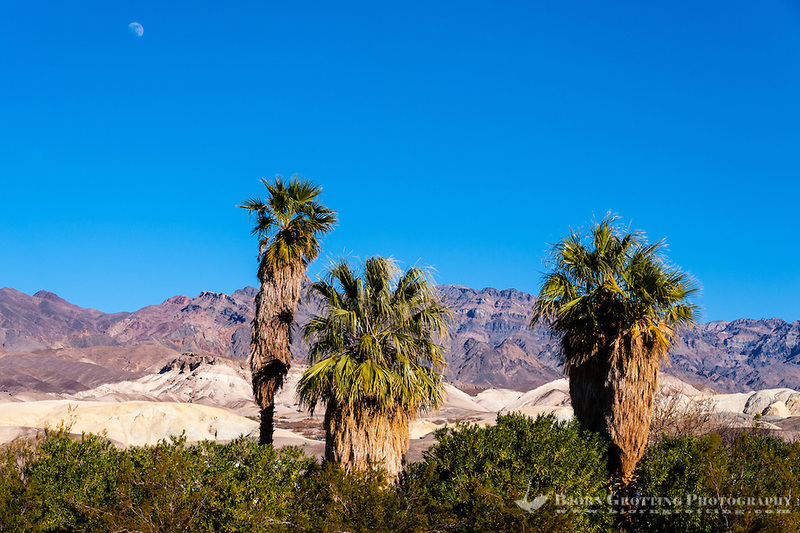 The first resort at Furnace Creek was created in 1927. Mesquite Flat Sand Dunes is located close to Stowepipe Wells along the main road. The easily accessible dunes have been used in several movies like Star Wars. 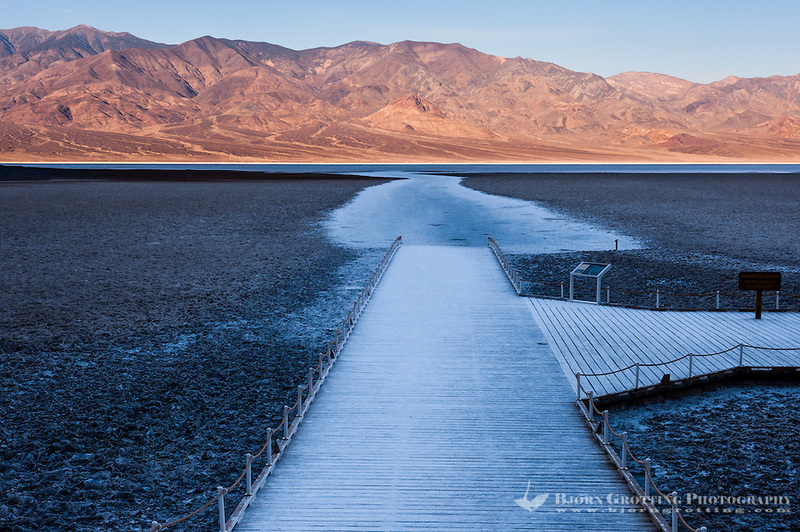 Badwater Basin is the lowest point in North America at 86 m below sea level. At the tourist area this is indicated by a sea level sign two-thirds up the cliff face. This is also the location of a pool of undrinkable “bad water”, giving the name to the area. 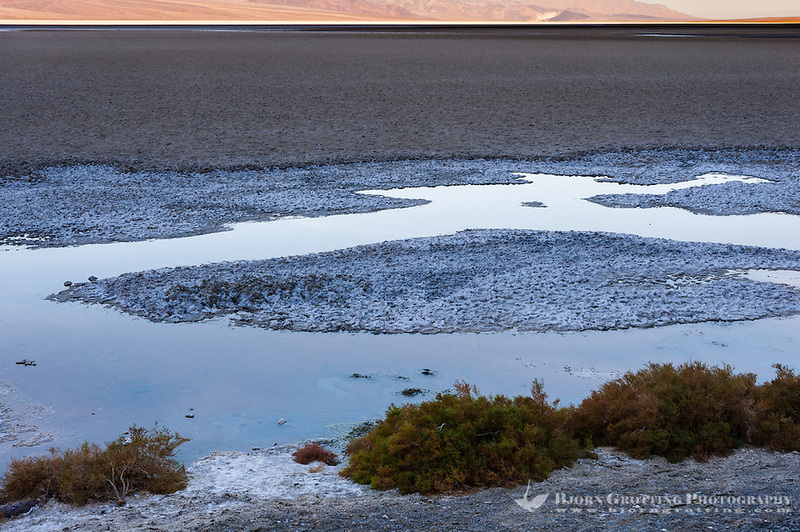 Despite it’s salty content the pool do have some life, including the Badwater snail, unique to Death Valley. Natural Bridge Canyon is found along the road to Badwater, about fifteen-minutes walk from the parking area. Here you will see a natural stone bridge connecting one side of the narrow canyon with the other. Devil’s Golf Course consist of a huge plane of salt crystals, located along the Badwater Road and accessed via a short gravel road. Since the elevation here is higher than the Badwater valley floor it is never covered by water, and therefore the salt can be sculpted by weathering processes. The salt beds can extend to a depth of 300 m, and in some places even to 2.700 m.
Artist’s Palette sits on the face of the Black Mountains, and is famous for the various colours of rock. The colours are in fact oxidized metals where for example red, pink and yellow is from iron salts, green from decomposing tuff-derived mica, and purple from manganese. Artist’s Drive is a one way road running past the Artist’s Palette and several other interesting rock formations. 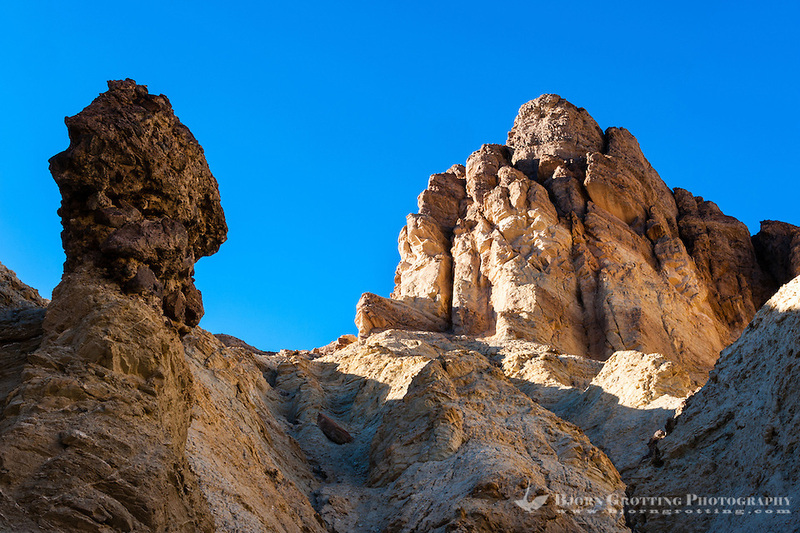 Golden Canyon is a fascinating gorge cutting into the colourful sandstone rocks just south of Furnace Creek. Remnants of a paved road running the whole length of the gorge can still be seen, but most of it is now eroded away. You must now travel by foot, and the hike can be combined with longer trails to for example Zabriskie Point or via Gower Gulch. 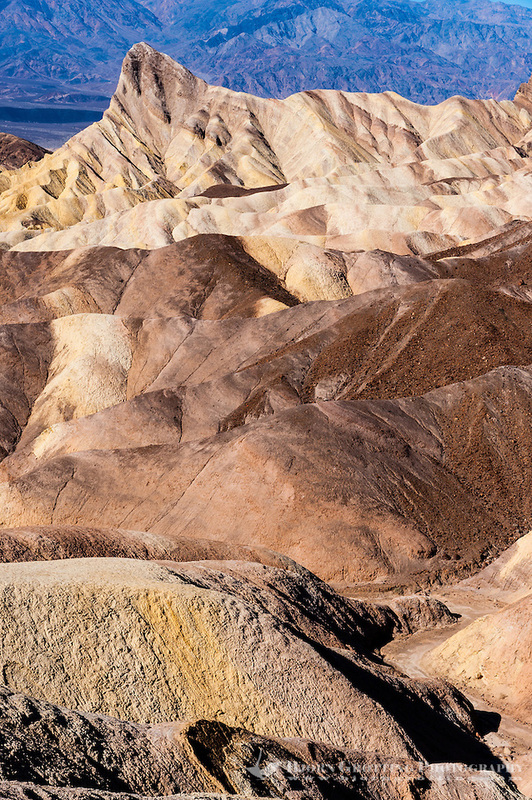 Zabriskie Point is a short drive east of Furnace Creek. The spectacular geological formations here is very popular among photographers. 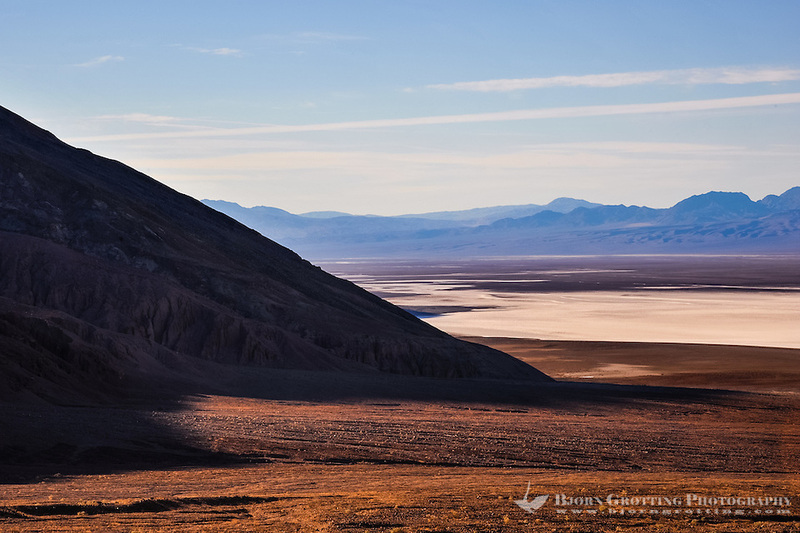 The eroded landscape is composed of sediments from Furnace Creek Lake which evaporated long before Death Valley existed, more than 5 million years ago. The Point is named after Christian Brevoort Zabriskie, manager of the Pacific Coast Borax Company. The Twenty-mule teams used to transport borax from Death Valley passed here along the Twenty-mule road. Parts of the old road is open for cars, and from here you can see more fascinating rock formations. The above was only some of the many sights to see in Death Valley, and despite the morbid name this is a place of life and colour. The best time to visit is during the winter season, November to April. I would definitely like go back and explore more of this area. My visit here took place two days in February, with quite pleasant temperatures. Unfortunately not nearly enough time to see all the sights. For more images please visit the California photo gallery.